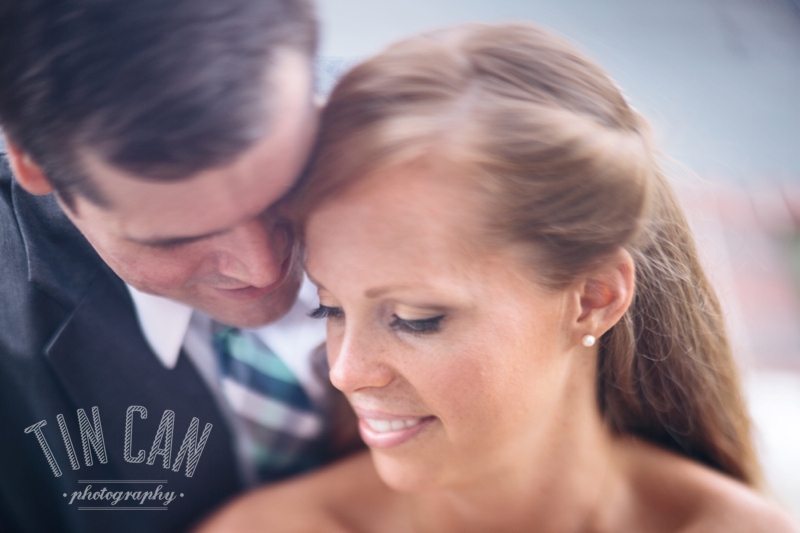 These two are just the sweetest and everything about their wedding day was absolutely beautiful. We captured this romantic embrace after their ceremony, and it the image tells it all. Their love for each other and the importance of this day for them was so very evident. If you're a photographer and haven't tried freelensing out, give it a whirl! It seemed like just the right technique for such a sweet moment. Select your camera settings (Sigma 85/1.4, ISO 100, 1/100s and focus set to infinity for the photo above). Take the lens off the camera body (carefully, you rule breaker!) and handhold it in front of body. Push and pull lens to find the focus you want. It will still be very close to the camera when focused. We find it's easiest to focus if you manually set your focus to infinity first, but feel free to play. You can also change the plane of focus by tilting your lens up, down, left and right. I don't know about you, but our gear bag is heavy enough, so using this technique keeps us from buying and adding a tilt-shift lens to our collection. Note: There is risk involved with detaching your lens and exposing your sensor, so only try this if you're OK with that. And maybe don't try it somewhere like at the beach with wind off the ocean blowing sand and particles around. Also, different camera systems may need slightly different instructions. The tips above work for us shooting on Canon 5D Mark III bodies.